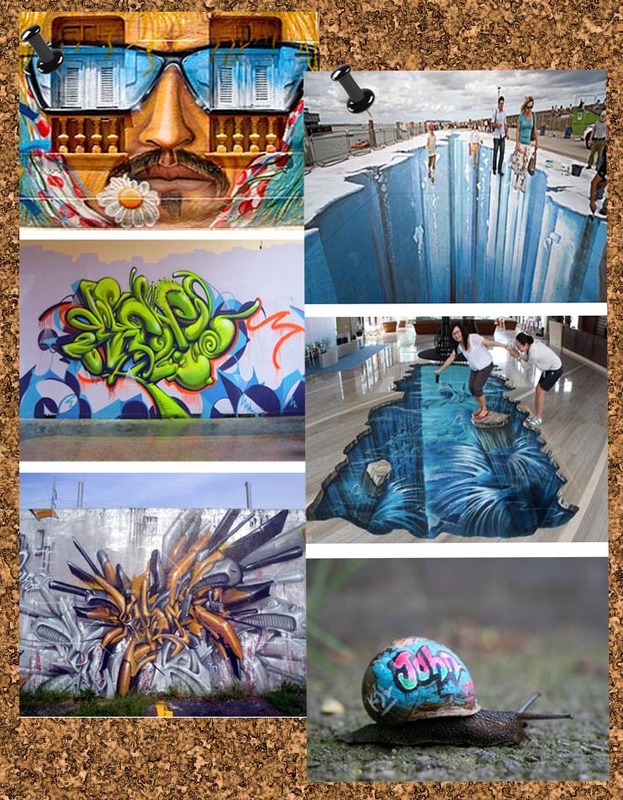 Graffiti – Art or Nuisance? Discuss! It’s an all too common sight here is South Florida- overpasses and train cars and snails…anything stationary or near-stationary can (and most likely will) be covered in graffiti. Some of it is pretty, some of it is downright scary, but almost all of the places you find it want it removed. There are heavy duty graffiti removers on the market, and they really work, but when does it become an eyesore as opposed to art? I’ve seen some beautiful works of art that were technically graffiti, and it would’ve been a shame to destroy it. Unfortunately though, business owners don’t find it so beautiful. I’m crafty, but not so much “artsy”. I can devise a way to make a picture frame out of driftwood, raffia, and florist wire, but ask me to draw a picture to put IN the frame? Not happening. However, that doesn’t preclude me from appreciating stunning works of spraypaint-or-chalk drawn art on the side of a building. Also, graffiti has become part of our urban landscape, almost a trademark. Graffiti on the side of a skyscraper in the city downtown is not as out of place as graffiti on the side of a barn in the country would be. It’s almost expected! So that begs the question – is it art or nuisance? Next Post Whiteboard Art, Who Knew?